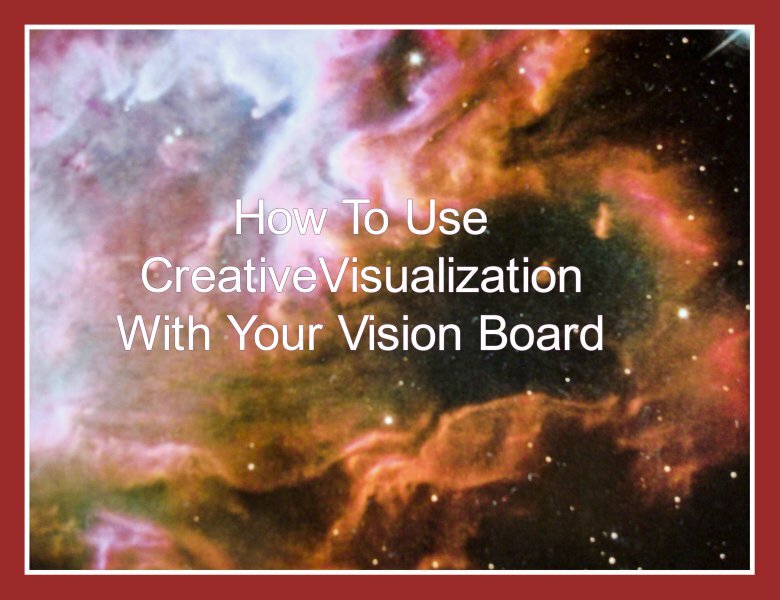 Visualization is the most important ingredient when YOU make a vision board…..But what exactly is it… how do YOU do it? Visualization is the practice of seeking to affect the outer world by changing one's thoughts and expectations with positive thinking, or better said, producing positive images in YOUR mind. It's a very simple process, but lots of people have a hard time with it. Same with meditation, a very simple process, but some of us make it very complicated. Are YOU one of them? To be honest, I was one of them…I used to say that I don't know how to meditate, I can't visualize…..hello how crazy is that? Now I know why…. my mind does not want to engage in healthy activities like this. Why is it so hard? In my opinion the major reason is that they get too intellectual and try to figure it out. Logical mind wants to know exactly how to do it, always screaming how, why, how, why… but there is nothing to figure out, you just let it go and it will happen. Some more reasons below. Being too intellectual and trying to let the mind run YOUR lives is what we all learned… and it's a problem. The mind is a great servant, but not a great master. The key is to use the mind for certain things, for example: collecting information, memorizing, evaluating, analyzing, sorting……… but not to run YOUR life and make decisions. Now that we know the problem, let's look at the solution….Meditation is a great practice to calm the mind, so just let go and accept whatever comes up…..Sit quietly in a peaceful place and let go of your thoughts, just let them float by… like clouds. If YOU have a dreamlike fuzzy visualization that's ok. If it's easier for you to feel, then focus on feeling the sensations instead of seeing images. There is no wrong, YOU can't make mistakes. The most important thing is to feel good, to get into a state of anticipation that, what YOU desire is on the way. The more often YOU can feel or see things, the more effective it will be. Let me know if YOU have any more tips on visualization, please share them with us and leave a comment. Creating a vision board for your business is a fun, creative and effective way to become clear about your intentions and it will help you discover, focus on and manifest your dreams. It‘s way more fun than making a boring list and you can turn it into creative play. Playtime is always good isn't it? Now let’s get started with a few questions! In order to win your game in business, as well as in life, it's good to know why you want to play. Life is a lot better when you can enjoy business related tasks, don’t you think so? Instead of saying: I have to do this social media posting and I hate it; you can practice saying: I will make some experiments with social media and see what happens…. If you find out that you still can’t enjoy it, you might want to hire someone who will do it for you. A positive attitude will help you win your game and have more fun. What actionsteps need to happen in order to get the desired results? Sorry, I got a little sidetracked here, but now let’s come back to your purpose: why are you involved in this business? To be successful in business requires commitment and to be clear about your purpose will give you the energy to be inspired and motivated to play the game well and be persistant even through challenges. Inspiration will be the fuel to propel you forward, so the more you can generate, the better it will be. It’s time well spent to be clear about your purpose. Just replace this with whatever it is that YOU want to achieve. Now you need to know what action steps you need to do in order to achieve the results that will get you to the desired outcome. Now you need to find images representing these items, be creative with it, let it flow. Browse through the magazines and rip out the images that appeal to you. This is not a logical process it's more intuitive, go by what feels juicy, it's a subconscious process. You will find the images in magazines (Money, Oprah, Vogue, National Geographic), books, calendars, online, or use your own images and print them out. Look for images of people representing your ideal customers. If you want to write a book you can create a cover with a simple image editing software like "pic monkey", or go to fiverr and get something made for $5. Make up your own checks written to you from companies you would like to receive checks from, make them large numbers. Find images of your ideal office space, in the location you would like to be, the view you would like to see…..
On my business vision board I normally paste a picture of myself in the center of the poster board, looking happy and successful, doing my favorite business task. Once you have the images, lay them out on the posterboard until you like the look of it and start to glue them down. When all this is done, you can finish up with inspiring and motivating words. You can write them onto the board or you can type the text and print it out. I make a great living doing what I love to do. I love my work and get paid royally for doing it. I am happy and fulfilled with my work. When it's all done, hang it where you can look at it; in your office, above the desk would be the perfect place. In addition it's a good idea to take a photo of it, print and laminate a small version so you can have it in your purse. The more you look at it, the more you feel it, the more effective it will be. Remember: it's all energy and we attract the same energy into our lives that we send out. Now I'm inspired and want to make my next one……….I hope you feel the same way, now have fun with it and good luck and play to win!! 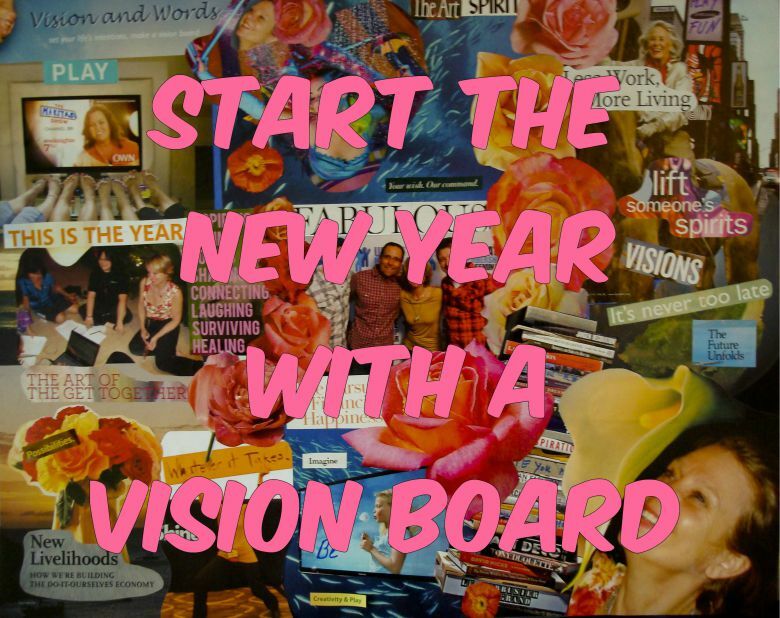 Send me a picture of your vision board and let me know how it's going, if you have any questions, just ask me….. and if you are interested in business coaching let me know and we can set up a time for you to try a session, how much fun is that!!! What do you love to do? What a huge question. So many of us are walking around and do not have a clue. If you don't know what your passion is, life can be pretty uninspired, it actually can be a drag. Life without passion and magic is stale and creates unhappy, resentful people. That's one reason; gambling, shopping, excessive working; drugs and alcohol are so popular, because these substances create the illusion of bliss and fun. The illusion works for a while, but eventually it stops working and then…….. I know I've been there, I went through the illusion and I crashed. I had to do a lot of soul searching and ask the universe: Who and what do you want me to be? It took quite a while of listening but eventually the puzzle pieces came together. People with passions are more content and happier. This is not only good for us but good for our friends, families and the world. Do you agree? As children we all instinctively know what we love to do, we get blissfully absorbed in the activity of play. But as we grow up and go to school we learn that other things are more important and we get drilled to fit in. Creativity and individuality get lost. The good news is: we all have this creativity inside of us; it just needs to be uncovered from deep inside of us. We have to find the hidden drawer and finally open it. The content of the drawer will be play, creativity, fun and beautiful life energy and we with it find the possibility to create a beautiful fabulous life. If you would like to find out, start with these simple things. 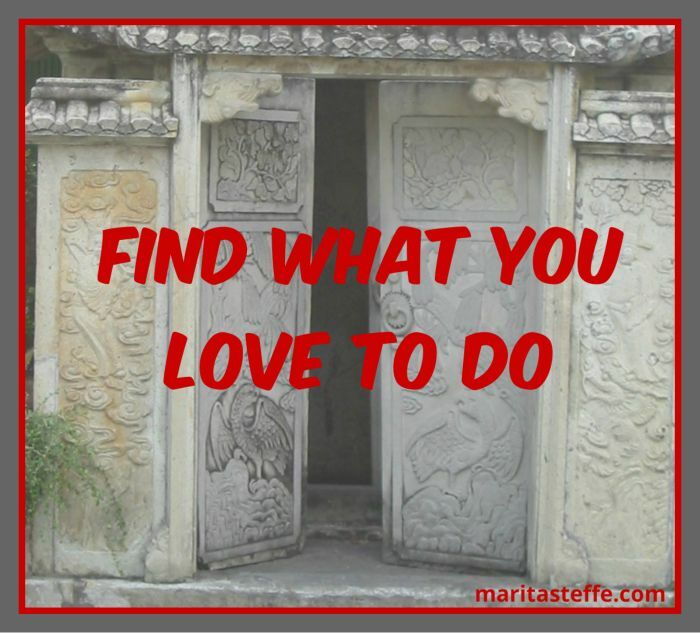 Ask yourself the question: What do I love to do? I just completed a whole wall in my new apartment in Germany. All my beautiful art is in boxes in California, so my designer friend had the splendit idea to transform some walls into vision walls. MY first wall is about 10 feet long by 5 feet tall. I look at it and it makes me laugh, I look at the paint brush loaded with paint and I want to paint……. I look at all the wonderful people and it inspires the wish to organize a community of like minded people. The wish brews to help transform peoples lives, by inpiring hope and possibility that DREAMS are not frivolous, but are our birthright. Three questions to ask yourself before YOU start. A vision board is a roadmap to your dreams, to help YOU find out what YOU would love to do and get in touch with YOUR life purpose. The great news is that YOU have the answer inside of YOU…. the bad new is: it's not obvious, but hidden inside the subconscious mind. Please don't despair, because a vision board is a magical tool that can help YOU to get access to the unconscious and will find the answers and motivation to keep YOU focused on YOUR dreams and goals. Do I hear YOU say: this is too simple it cannot work for me, my life is complicated? I know, I had the same thought in my head. Accept the voice, but let it know that you want to try it anyway, While working and training in the field of human potential and spirituality, I learned to not listen to the "dreambuster" in my head, but to be willing to do it anyway. I actually would say that this has been the highest achievement over the last 10 years of transformation: to be open, to believe in possibility and to do it anyway. To be creative, is to be in YOUR element, to be in your zone of joy and contentment, to express the gift you came into this world for. It's a happy place to be. Can you imagine to be able to enjoy this state of being and to empower your life at the same time? 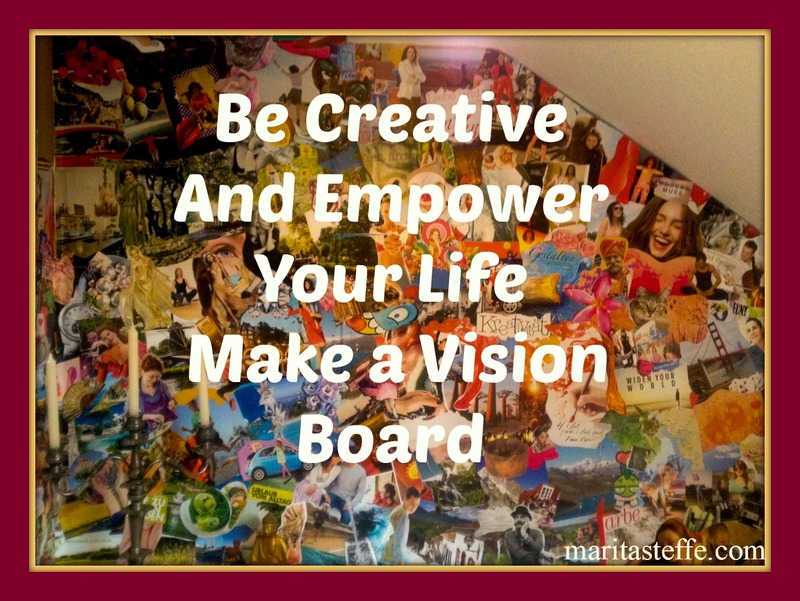 Make a vision board it's empowering, it's very creative and it's fun! Vision boards are collages with intentions, they can be simple and they can get very artistic and elaborate. A hand drawn creation can be just as effective as the more complicated, layered collages. What matters is the intentions YOU have and how meaningful these intentions are in YOUR life and for others. If YOU have an intention of becoming a millionaire, that's fine, but it might not really inspire YOU to do the steps required and your subconscious mind might not be motivated enough to spring into action to help get YOU there. The key is: YOU need to be inspired to get your subconscious mind into action! So make it juicy, be inspired about something worthwhile. YOU do not have to save the world, but try and find something that inspires positive change, maybe in YOUR circle of friends, or neighborhood. Let YOUR heart speak and bring love to the world, might just be enough already! Please enjoy my custom meditation to get YOU into the creative zone. The meditation is lead by my healer friend Marcela Manesis. Do you have a problem with visualization? Don't know how to visualize? No problem, I found some easy to do visualization exercises for YOU. 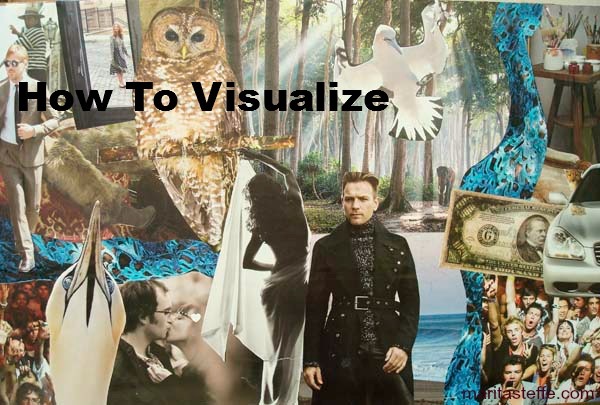 Visualization is an intuitive process and not very logical. You just do it and by practicing the principles you will get more comfortable with the process. The most important step is: leave logic out of it and just do it! Some people see very clearly and some do not, I sure don't, but I have strong feelings. I imagine I see things and that works too. Visualization is important if you want to achieve your life dreams and life goals. It will help you to create the life of YOUR dreams. I found this article by Brian Tracy, "The Master of Efficiency" very helpful, especially for people who need more instructions and answers. The first aspect of visualization is frequency. This is the number of times that you visualize yourself performing in an excellent way, in a particular event or circumstance, to achieve a particular goal. The more frequently you repeat a clear mental picture of your very best performance or result, the more rapidly it will appear as part of your reality. The third element of visualization is vividness. There is a direct relationship between how clearly you can see your desired goal or result in your mind and how quickly it comes into your reality. This element of visualization is what explains the powers of the Law of Attraction and the Law of Correspondence. The vividness of your desire directly determines how quickly it materializes in the world around you. Here is an interesting point: When you set a new goal for yourself, your image or picture of this goal will usually be vague and fuzzy. But the more often you write it, review it, and repeat it mentally, the clearer it becomes for you. Eventually, it will become crystal clear. At that point, the goal will suddenly appear in your world exactly as you imagined it. The fourth element of visualization is intensity, the amount of emotion that you attach to your visual image. In reality, this is the most important and powerful part of the visualization process. Sometimes, if your emotion is intense enough and your visual image is clear enough, you will immediately achieve it. Continually feed your mind with clear, exciting, emotional pictures. Remember, your imagination is your preview of life's coming attractions. Learn how to accomplish all of your goals here. Great advice and great tips, thank you Brian. Visualization and goal settings are 2 of the most important ingredients in order to create success. It's also very helpful to create a vision board, it will help you with the visualization process. Keep in mind that the more you practice, the easier and more effective it gets. The only way to mess it up is by not doing it, so get started NOW. 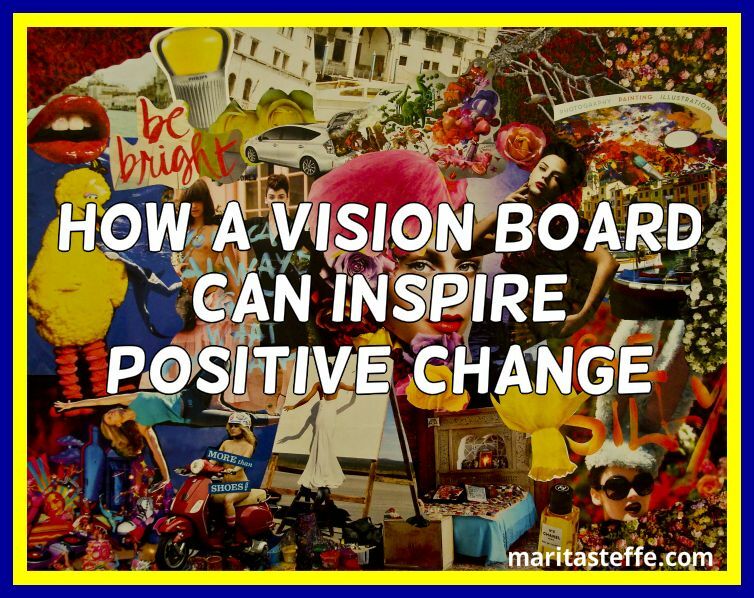 What's the difference between a goal board and a vision board? 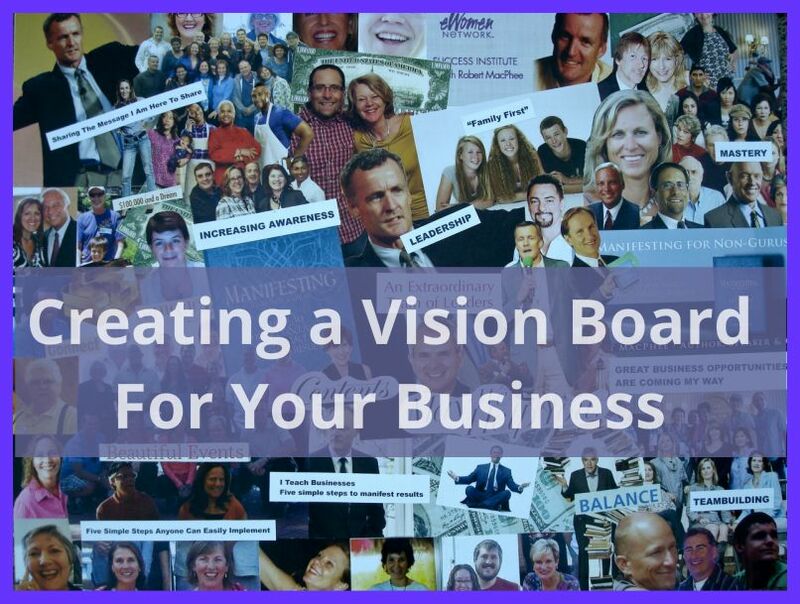 A goal board is similar to a vision board or a dream board, but more specific. A vision board is more about your personal life, see below. 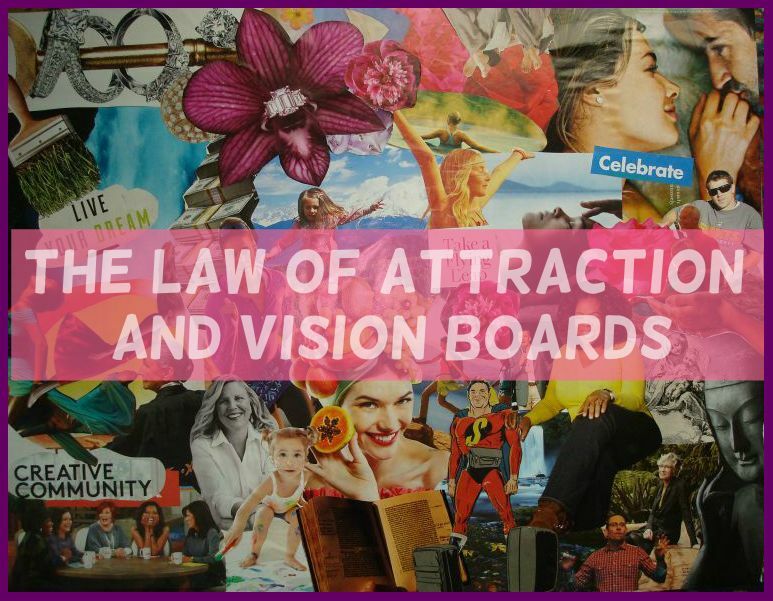 Either way, vision boards and goal boards are effective tools to empower your life. 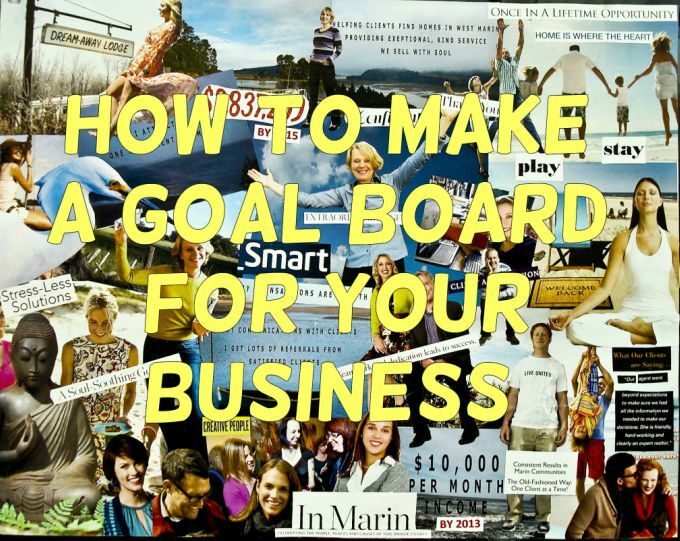 A goal board is more about how to achieve your business goals and intentions. Let's say you work in Real Estate: you would make a list of goals, you would like to achieve. This will be the same for any business. Most of us want change at some point in our life, but on the other hand we don’t. Change can be scary and it's definitely kind of uncomfortable, but also essential in order to grow. A few years ago, I started to Feng Shui my home and all of a sudden my life was upside down. It wasn’t really what I wanted right at that moment, but now I know it was all good and in my best interest. 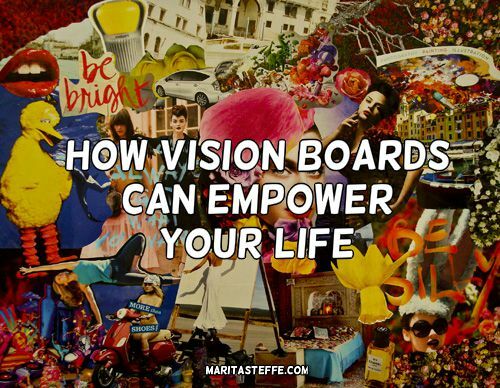 A vision board is a great tool to empower your life and if you create it, your life will change. How it will change is up to you, the more intentions you set, the more you visualize, the more you will attract those things to you.